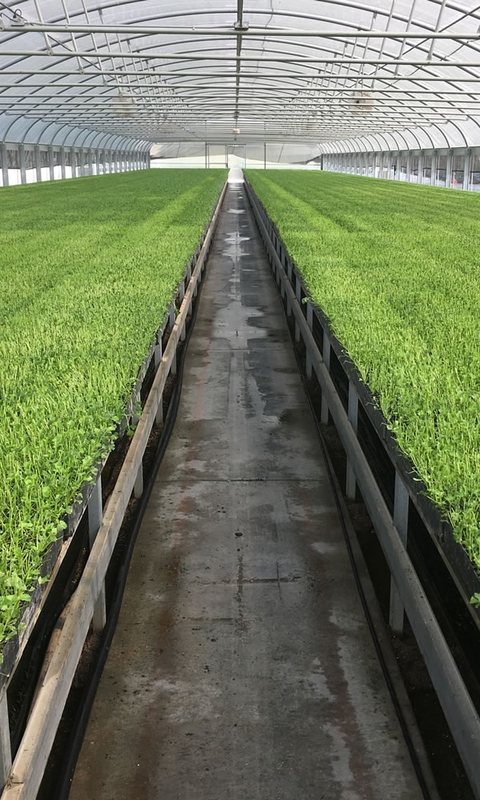 When compared to field-grown seedlings, greenhouse transplants can be grown faster, while producing plants that are superior and more uniform. By carefully controlling their environment, transplants grown in greenhouses can be held longer and harvested when you choose. Because containerized plants are less crowded and healthier overall, greenhouse transplants will normally be stockier and stronger. In addition, greenhouse grown containerized transplants provide an ideal method for establishing vegetable plants that possess a media-enclosed root ball, which retains moisture and root integrity at transplanting, and thereby reducing transplant shock. Transplants grown this way customarily result in enhanced stands and earlier harvests. This leads to increased profits and eliminates added production costs, because the chances of losing crops due to frosts or other factors are greatly reduced, meaning you won’t have to undertake costly re-planting. Before deciding whether you should grow vegetable transplants, give us a call and we will advise you, based on several factors, such as the size of your overall operation; the investment of time and money; and the vegetable transplants you want to grow.